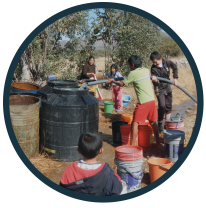 Engineers in Action > Thank You For Signing Up For the Clean Water Fast! Thank You For Signing Up For the Clean Water Fast! Thank you for registering for the Clean Water Fast. 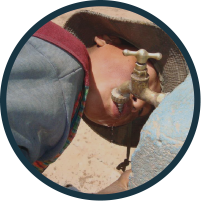 Your sacrifice and commitment to Engineers in Action WILL make a difference in the lives of some of the poorest people in Bolivia. For ‘first-time fasters’ we’d challenge you to set a goal for yourself. Perhaps it is to raise $900 (average one month salary of an engineer). Or maybe it is to get 10 people to sponsor you. For ‘repeat fasters’ we want to challenge you to set a goal of raising 50% more than you did last year. — For repeat fasters: We will be sending you a list of those who donated for your fast last year. Send an individual email to each person, thanking them and asking them to consider giving $_____ this year (Give an exact amount, twice what they gave last year — this is the advice of professional fund-raisers). — Take the handout we will be sending you and have it ready to hand to people who show an interest. — Finally, send out emails to your friends, family, collegues, clients, and those whom you are a client of. And don’t forget Facebook, and other connections. We will send you a sample email which you can rewrite and personalize to send out. We will be sending you the address of your specific webpage with your picture, comment, and a place where donors can donate. Handout to Donors– Print this handy little guy out on standard sheet of paper and BAM! Instant explanation for your donors. Words of Encouragement – Hunger starting to get to you? Take a moment to read some words of encouragement from previous fasters. Sample Email – Use this to email out to friends, family, and colleagues that you would like to sponsor you.